​THE Biosecurity Authority of Fiji (BAF) has now allowed imports of certain PNG products into Fiji but under certain conditions. When contacted yesterday BAF issued a statement to The National which outlined conditions that had to be complied with when PNG’s Trukai Rice, Ox and Palm corned beef and Lae Biscuits are brought into Fiji. 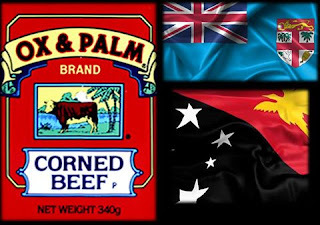 According to a notice released on Wednesday, “BAF has reviewed the import requirements of Ox and Palm corned-beef, Trukai rice and Lae biscuits into Fiji. Personal import of these products from PNG is permitted into Fiji. “BAF will allow up to 10kg/22.04lbs of each product, to be imported into Fiji for personal consumption per individual person. “These products will only be allowed into Fiji from PNG if it is accompanied with a retail outlet receipt (allowance 10kg/22.04lbs). “The products must be shelf stable, commercially processed, manufactured and packaged, in its original packaging on arrival with its country of origin identifiable on the packaging. “Labels on the package of the products must be in the English language and state the country of manufacturing/ produced, and country of origin and batch/ expiry dates. “The Ox and Palm corned-beef, Trukai rice and Lae biscuits must be declared and the import is subject to inspection at ports of entry for biosecurity purposes. However, when contacted yesterday, Trade Commerce and Industry minister Richard Maru said he was not aware of the notice. “Not as of yesterday (Wednesday). That is news to me,” Maru said. The minister announced last year that there would be a “trade war” with Fiji as he said there was imbalance of trade between the two countries with Fiji having the upper hand. Fiji denied it had placed trade ban on Papua New Guinea products but said there were biosecurity measures executed by its quarantine authority, the BAF. Fiji trade officials accompanied their Papua New Guinea counterparts last October to visit the Lae factories of Trukai Industries Limited and Paradise Foods Limited to view their products.